Corneel Nyckees can’t remember the first time he heard about the “Ecological Footprint.” “It’s such an obvious, everyday concept, I feel like I’ve always known about it,” he says. Corneel is 18 years old. 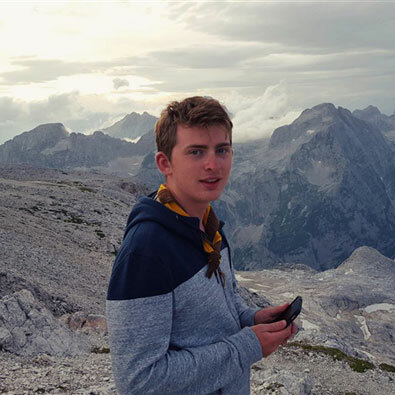 He’s a high-school senior at Antwerp’s government-funded Waldorf School in Belgium. He and his two classmates, Amélie van Roey and Helena van der Gucht, correctly calculated the date of Earth Overshoot Day 2017: August 2. Their geography teacher, Anneleen Schrevens, told the class about the Guess the Date Contest, and had them play the calculation game in small groups. Those who wanted to could submit their findings to Global Footprint Network. Corneel bikes to school, as does his mother who teaches at the same Waldorf School. Meat is slowly but surely disappearing from family meals since his brother became a vegetarian three years ago, and the family pays a green-energy premium to the utility that powers their home. 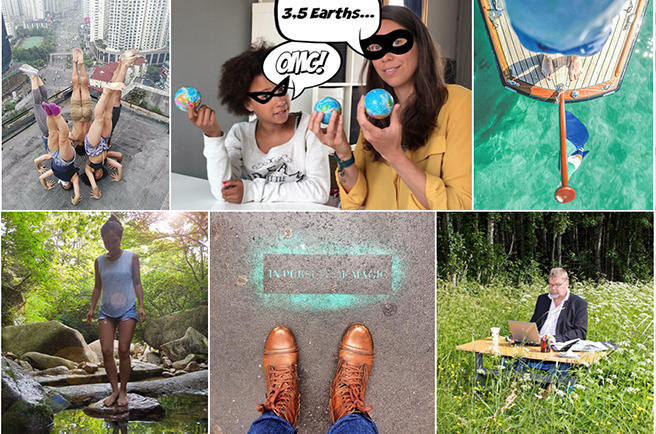 Congratulations to our #PledgeForThePlanet photo contest winners!